Sweet summer corn - isn't it the best? My favorite way to prepare it is grilled - charred, to be exact - and that is what inspired this salad. 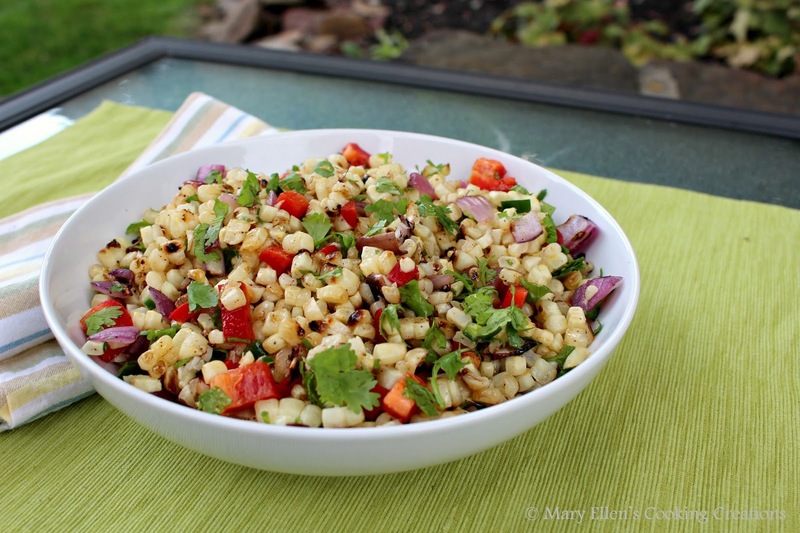 Charred corn is packed with smoky flavors, so pairing it with something bright and zesty with a touch of heat works perfectly. 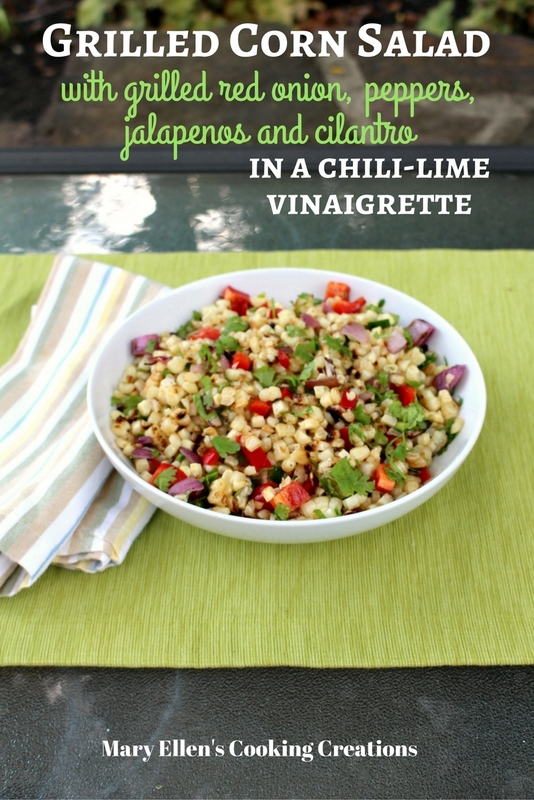 I used cilantro and lime for the bright and zesty flavors, grilled red onion for some sweetness, crunchy red pepper for texture, spicy jalapenos for heat, and a dressing featuring chili and lime to pull it all together. 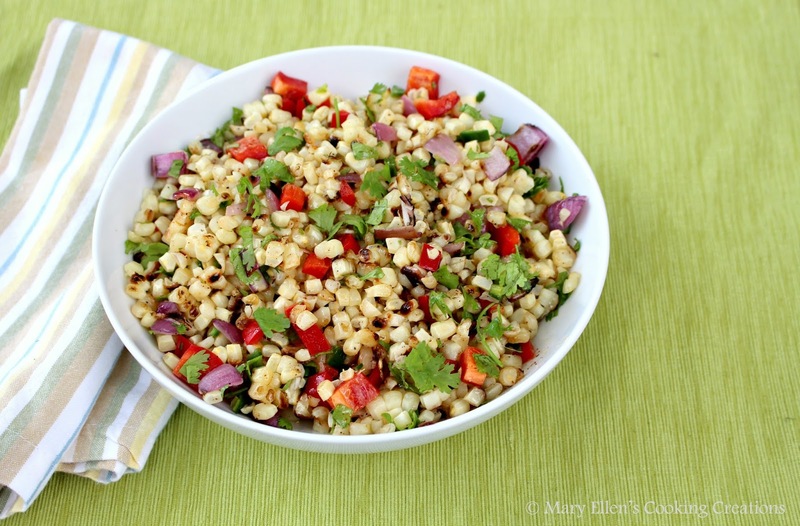 This Grilled Corn Salad can be eaten as a salad or you can really get creative with it. Picture it on fajitas or tacos - the perfect topping! Put it on top of grilled chicken or fish. Or just grab some chips and scoop it up like salsa! I will definitely be making this one a few more times before the summer corn runs out. 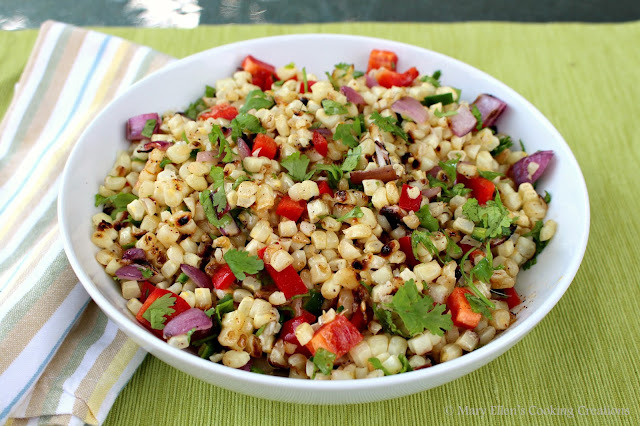 Mexican Grilled Corn Salad with with Citrus Aioli. Mix all of the dressing ingredients together and chill until ready to serve. Brush/spray the corn and red onion with olive oil; season lightly with salt and pepper. Grill until charred in spots (to your liking), about 15 minutes. Stand the corn on end. Using a sharp knife, remove the kernels into a bowl.